Bobby Driscoll was the first actor to be put under contract with Disney. He starred in several of Disney’s live action films, including Song of the South and Treasure Island, but is probably best known as the voice of Peter Pan. 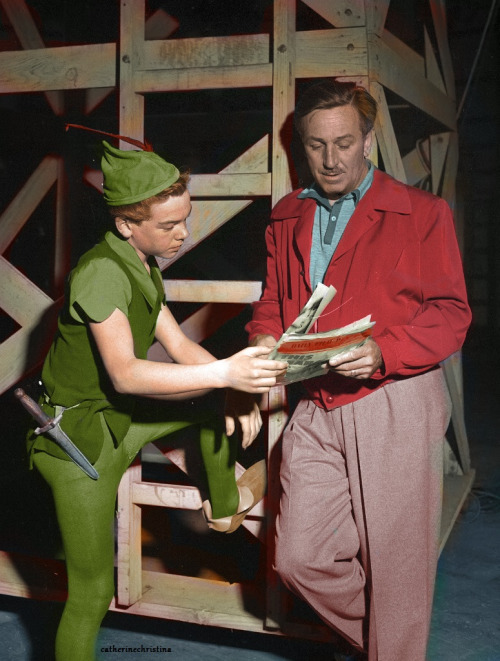 While he was extremely popular, a few weeks after Peter Pan was released, his contract with Disney was cancelled. His severe acne was noted as the reason. His career declined and he became addicted to drugs. He eventually wound up in prison for possession in 1961. After his release, his attempts to resume acting failed and he passed away in 1968, at the young age of thirty-one. « Keep Your Dream Alive!